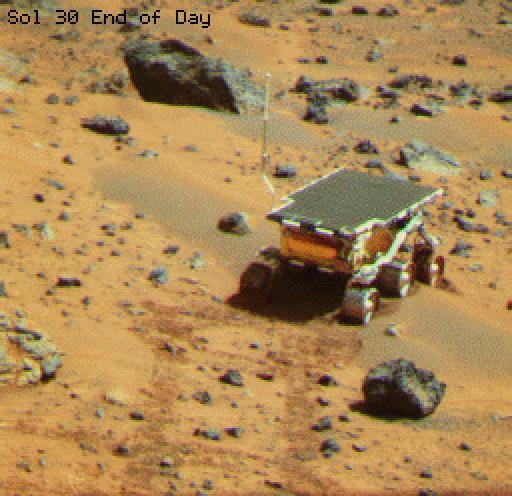 This color image of the Sojourner rover was taken at the end of day on Sol 30. 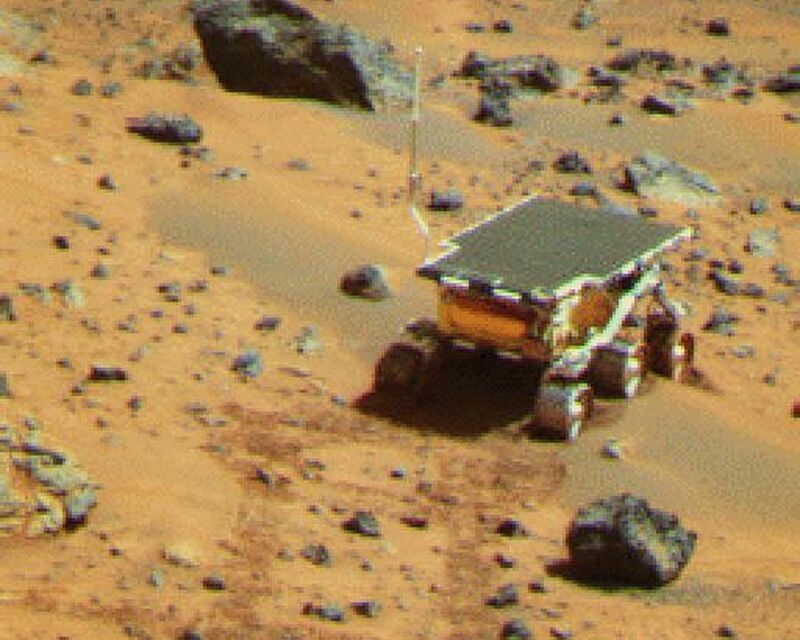 The rover is perched atop Mermaid Dune, a dark material distinct from the surrounding bright surface. 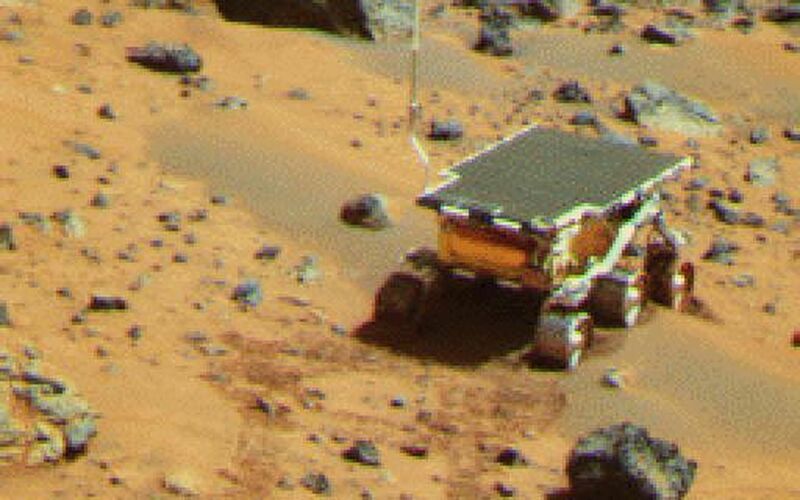 Dark red rover tracks extend from the foreground to the base of the rover's wheels. Mars Pathfinder is the second in NASA's Discovery program of low-cost spacecraft with highly focused science goals. The Jet Propulsion Laboratory, Pasadena, CA, developed and managed the Mars Pathfinder mission for NASA's Office of Space Science, Washington, D.C. JPL is a division of the California Institute of Technology (Caltech).